This is gonna be a long, personal post, so grab a cuppa and a snack, and enjoy! I wanna throw it out there before I start, I’m extremely nervous and questioning whether or not to go ahead and post this, but the whole point of my blog is to be real with my readers, and my hidden illness is something I normally don’t talk about, and I’m really choosy about who I open up to about it. My reason for that being that I’ve always felt, not embarrassed about it, but I’ve always felt self conscious about it, even though if I didn’t say anything, you would never know that I’m affected by it, so I never felt like I needed to tell many people or had anything to explain. On the outside , other than being really short, you can assume that I’m absolutely fine, and thankfully, I am fine, I’m completely healthy, for now, and hopefully will stay that way, but I might not always be healthy. I’ve only felt the need recently to talk about this, because I’m 24, and I’m at the age where I’m seeing friends and family, and women my age having babies, I feel like I’m constantly seeing pregnancy announcements the last while! And although I’m very much single and not yet in the position to have a baby, it’s starting to feel like salt to the wound seeing it happen so easily for other women. So, take it back to when I was 14, I was in my 3rd year of secondary school, about to do my Junior Certificate, which are major exams. I was in and out of hospital constantly for tests and appointments, and i remember as if it was yesterday, the doctors were asking all these questions and after all the tests, I went to get one of the blood test results, and I was told I had been diagnosed with Turner Syndrome. TS is diagnosed by a karatotype test, they take blood and then get a picture of your chromosome make-up. It was a lot to take in back then and because each case is so so different, the doctors don’t even fully understand TS, so I didn’t really understand much back then either, but now that I’m older, and I know so much more, the knowledge has helped me come to terms with it and be okay with my diagnosis, rather than feeling different to other girls, because I’m not different. Turner Syndrome is a part of me, but it doesn’t define me, or make me any less normal, the same goes for anyone else with a hidden illness. 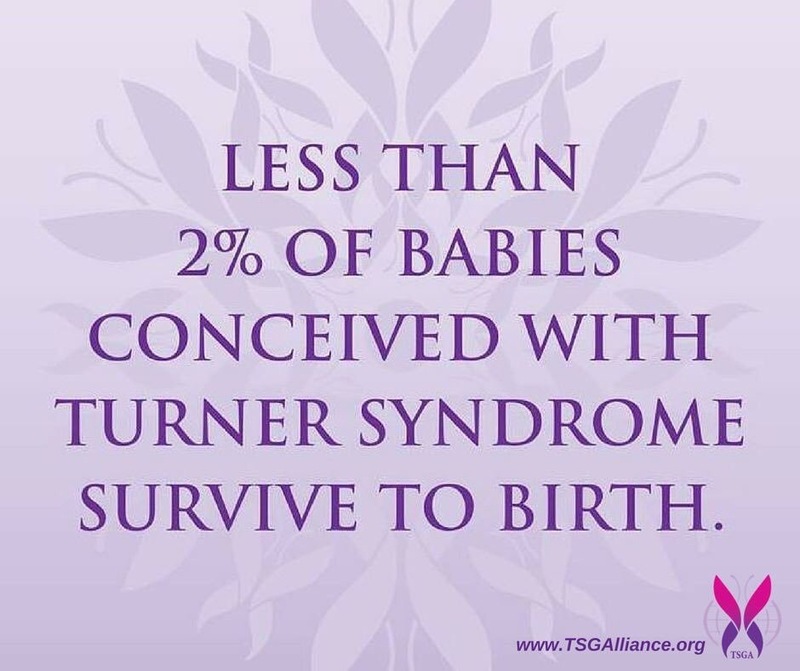 Turner Syndrome happens when there’s a glitch during cell division in fetal development, and the second X chromosomes is either completely missing, causing Classic Turner Syndrome, which is what I have, or the second X chromosome is damaged or partly missing, causing Mosaic Turner Syndrome. TS only affects females, and when the second X chromosome is missing, depending on how far into the development it occurs, other cells will be damaged, and that will determine how many of the symptoms you will have. I’m very lucky to have very few symptoms, and that I’ve been very healthy so far. The major symptom I have is infertility, which goes with most cases of TS, due to premature ovarian failure, basically, the lights are off, nothing’s happening. Which is why I will need doctor’s help in that department when the time comes, so it helps me deal with it a little better to know that I will still have options. The other symptom I have, which is also goes with most cases, is my short stature, I’m only 4ft 10 and a half, and I’m okay with that, I’m so used to it now that I actually quite enjoy being short at this stage, I’ve just always seen my height as part of who I am, and I’m lucky to have never gotten bullied or any negative reactions to being short, apart from the many many, constant comments on it, but thankfully always in a positive way. My height is actually part of the reason I was diagnosed so late, because my family on both sides are quite short, so I wouldn’t have been tall anyway, so it was overlooked. The only other sign when of TS when I was younger was my short, puffy hands and fingers which my doctor commented on when I was about 4, but again, the signs were overlooked until I went to the doctor at 13 when I hadn’t had a regular cycle yet, which is a part of the ovarian failure, and why I’m on birth control as a HRT (hormone replacement therapy) as this is the only way us women with TS can produce Estrogen and Progesterone, and to have a normal development and cycle. There are some other, scary symptoms that can also go along with TS, but I’m not going to talk about them in this post, because I’m very lucky that so far, I’ve shown no signs of these, but I’m monitored closely. But if you would like to see another blog post on more about these, please let me know. And on that note, I’ll leave this post with an interesting Turner Syndrome fact below, which fills me with positivity to know that I’m still here today and healthy. So lovelies, I hope you enjoyed this post, it’s very different to other posts I’ve done so far, and I’m now so glad I’ve put it out there, it feels like a weight off my shoulders. The main reason for this post was to finally have a voice and speak out about it, as it’s such a rare condition, it’s never really spoken about, and I’ve never gotten to meet any other girl with the same condition, so I’m hoping to thanks to this post. And also to encourage others with a hidden illness to speak out, especially if they also feel alone and like no one would understand. So I hope this post spreads some awareness and positivity around! Thanks so much if you’ve taken the time to read! See you in my next post! Amazingly brave and honest Laura. Now that your illness is no longer hidden, there is nothing to hold you back. I send every good wish your way and hope your future is more than you dreamed it could b. Thank you for sharing this very personal story! I know there are definitely people out there that feel exactly the way you do. It is so inspiring that you’ve shared this story and your experience. Very brave! Hi, thank you for sharing this brutually honest post, hopefully it will raise more awareness of the condition. What an honest post! I’d never heard of turners syndrome before so you’ve introduced me to something new! I’m so sorry about the infertility, that’s something I really worry about, that I’ll not be able to have kids so the fact you know you’ll struggle must be so tough! You’re so strong for dealing with all this! It’s great to know with medical advances you’ll still be able to be a mumma if you’d like to! Thanks for sharing your story you are a brave woman. I love that you focus on positives, I wish you all the best. My younger cousin was diagnosed with TS at birth. It was difficult for us all to get our heads around it at first because we didn’t know what it was. We have all now grown up with it now as we have grown up with her and she is such an amazing person. TS needs to be talked about more so others understand it better. Thank you for sharing such a personal story. VEry personal and brave of you to post, and fertility doctors can perform miracles! Wow! Thanks for sharing this intimate journey relating to your diagnosis. I have premature ovarian failure too (diagnosed at age 26) although it’s not due to TS (they did my karyotyping to check). Hoping you are able to successfully use donor eggs or adoption when you are ready for it. Thanks for helping raise awareness about your condition and infertility!